Last month I painted a bleak picture of SA's grain and oilseed crop conditions due to the dryness of the central and western parts of the country. So it is only fair that I present an update after good rains in the first two weeks of February. Crop conditions have generally improved across the country, and are likely to be in good shape for some time as the precipitation forecasts for the next couple of weeks are positive, according to the South African Weather Service. The local weather bureau sees a possibility of above-normal rainfall over the next two months in summer rainfall areas, which should support the late-planted areas. While this is a welcome development, it is worth noting that this is not a normal rainfall pattern for South Africa. The crop would typically be maturing around April, but this time things are different due to late plantings, on the back of delayed rainfall. 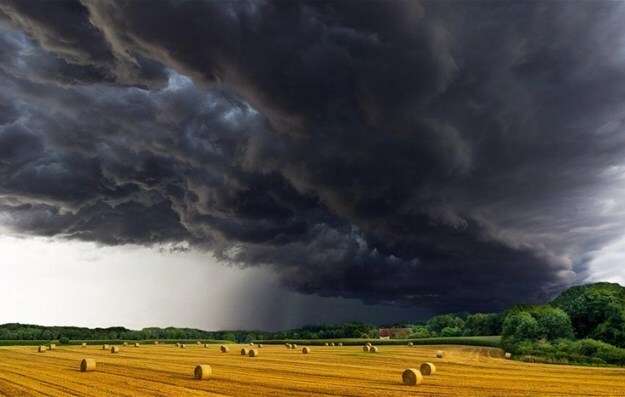 At the moment, there are two fundamental aspects that seem to underpin the weather factor in South Africa’s agricultural sector. Firstly, is the "inter-seasonal variation" in rainfall. The country now receives average annual rainfall that is lower compared to past trends. South Africa has received an average of 526 millimetres of rainfall per year over the past 60 years. However, the recent past has seen a progressive decline in annual average rainfall, with the post-2010 annual rainfall averaging 7% lower compared to the previous three decades (1970-2010). Secondly, is the "intra-seasonal variation" in which the geographic and temporal distribution of rainfall seems to have shifted over time. Anecdotal evidence suggests a delay in the onset of the summer season. For example, the peak rainfall period in South Africa was around early October in the eastern regions and from November in the western regions each year. Recent rainfall patterns have seen a three-to-six-week delay, which translates to a shift in optimal planting dates for summer grain and oilseed, and subsequently the maturing periods. These weather shifts have been a continuous challenge for farmers in terms of planning the planting periods so they can coincide with peak rainfall patterns in order for crops to receive sufficient moisture for seed germination and crop development. Moreover, the nature of a change in rainfall pattern is exemplified by this season’s weather conditions where rainfall is expected to remain above-normal levels until April, compared to March in a typical season. On a positive note, this will support the late-planted crops which will still need moisture for development over the coming months. But the key concern for late-planted areas is a possibility of frost later in the season, as that could negatively affect crop yields. In my interaction with a couple of farmers, this was one of the factors that were flagged as a key concern, particularly in late-planted areas of the Free State and North West. Overall, the impact of improved weather conditions is illustrated by a widespread decline in SAFEX grain and oilseed prices from levels seen last month when there was no clarity whether farmers will be able to plant a meaningful area. On 15 February 2019, SAFEX yellow and white maize prices traded around R2,600 per tonne and R2 662 per tonne, respectively down by 7% and 14% from the same levels a month ago. Looking ahead, the crop could remain in fairly good shape over the coming weeks owing to expectations of continuous rainfall. What will be more important to keep an eye on is the first production estimates data for a summer crop and oilseed which is due for release on 27 February 2019. Some crop observers such as the International Grains Council and the United States Department of Agriculture estimate that South Africa’s 2018/19 maize harvest could vary between 10.7 and 11.5 million tonnes. A harvest at this level would mean that South Africa would be self-sufficient in the 2019/20 marketing year, accounting for an opening stock from the previous season. *Written for and first published on Business Day on 20 February 2019.